Mary Landrieu has stolen a page out of the John Kerry playbook. "I voted for affordable health care before I voted against it." 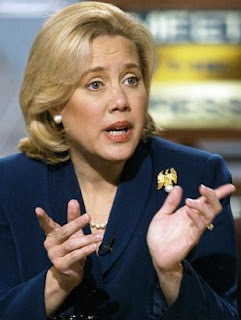 Last week, Senator Landrieu supported a measure that would make prescription drugs more affordable. However, yesterday she supported an amendment to the bill that in effect ended any chance of it passing. Her reasoning? She was concerned that drugs imported from Canada are unsafe. These are the same prescription drugs that thousands of senior citizens from this country already cross into Canada every week to buy for half the price. Many are speculating that Senator Landrieu caved in to special interest pressure, pointing to the fact that she has received over $750,000 in campaign contributions from the health care industry. The legislation would have saved the citizens over $50 billion over 10 years.